WinUSB, a simple application which helps you burn any Windows 7,8,10 ISO or DVD to USB flash drive and make it bootable without formatting in most cases! With me you no longer need to transfer many files to hard drive of your PC. I work same as master and will show you next step after current one completed. While creating a bootable USB drive for installing Windows is not particularly difficult, as there are plenty of applications that can help you out, it is normally necessary to format your storage device, which is less than ideal. 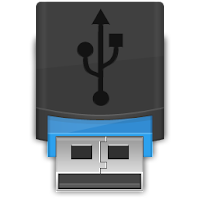 WinUSB is an easy-to-use application that enables you to create a multi-bootable drive without losing any important files that are stored on it. It can use a Windows install DVD or an ISO image, and it also allows you to format your flash drive if you prefer to clear its contents. No advanced configurations are required when using WinUSB, as you only need to follow a series of easy steps in order to create a bootable USB. For starters, you need to specify which removable storage device should be used. Next, you are required to select a Windows 7, 8 or 10 installation drive or an ISO file downloaded from the Microsoft website. After Windows distributions are selected, by clicking “Next” you can choose between FAT32, NTFS or exFAT file systems. Of course, WinUSB is mostly aimed at users who wish to keep the data stored on their drives intact, and the application can certainly achieve this, but you should ensure enough space is available on the device before launching the operation. There is no need to go through an installation procedure before using WinUSB, as you can just launch the downloaded executable file directly. What’s more, a helpful user guide is available on the product’s homepage. In short, this application provides a solution for users who do not wish to format their portable storage devices when creating a bootable USB flash drive. It is very easy to use, and it enables you to create a Windows installation USB drive in a few simple steps.